The struggle is real for fighters, who day in and day out must battle the demons within that drive them to seek sustenance in conflict, and who must battle the demons without who want to kick their asses. This is true of UFC athletes, of local part-time competitors, and - in Thailand - it's true of the kids. The poor kids. The poor, poor kids. Tom Gallicchio is fighting for a lightweight belt at MFC 40 on Friday. Since his MMA debut eight years ago, Tom has won 18 out of 26 fights, and of those 18 wins, 11 were via rear naked choke. 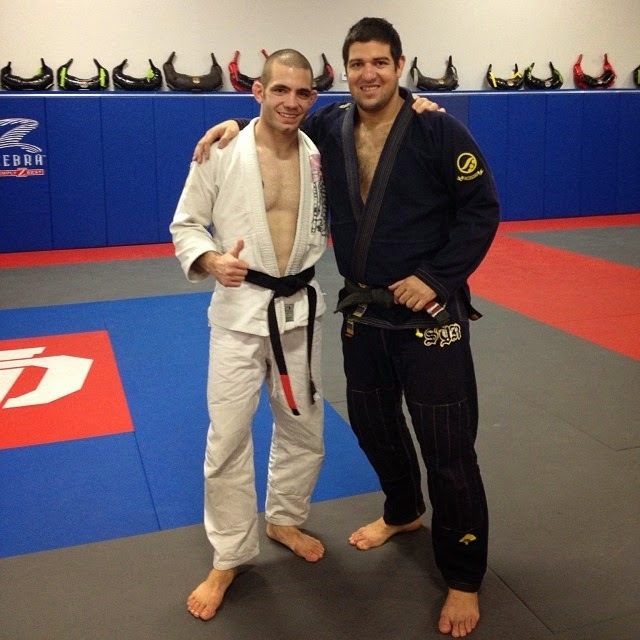 In January he was awarded his black belt in Brazilian Jiu-Jitsu. Can you say, "About freakin' time"? When last we saw Rafael "Sapo" Natal, he was on the losing end of a fistfight against Tim Kennedy at UFC: Fight for the Troops 3 in November. But he's back in the cage this Saturday for UFC Fight Night 40, and the former Ring of Combat champ with the jiu-jitsu black belt and heavy hands headlines the prelim portion of the card opposite Ed Herman. In honor of Sapo's stature as an accomplished Northeast badass, here's some examples of his early work. Enjoy.